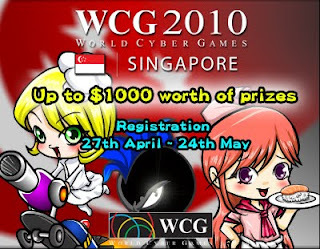 Word Cyber Games Singapore 2010 - Viwawa is on again! Compete to be the best of the bests! Win attractive prizes while gaining prestige in the Viwawa Community. Do you think you are the top Stwacker or the King of Sushi Chefs? Or grab a buddy and participate in Buffet Wars, first time featured in WCG. Wait no longer and register today to compete with the best in the Viwawa Community.